The Beni Ouarain tribe is known for the quality of its wool rugs. The distinguishing characteristics of these handwoven Beni Ouarain carpets are their big sizes, their geometric motifs and their minimalist style. 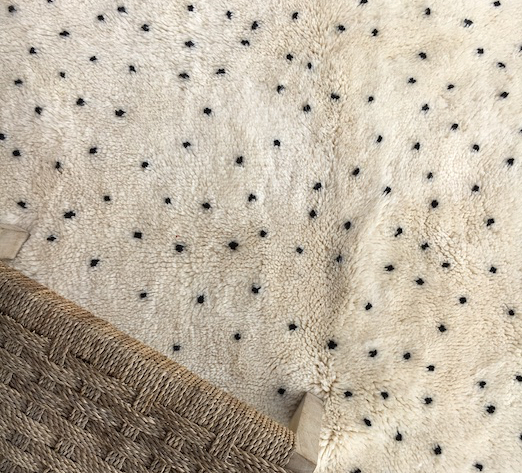 The Beni Ouarain rugs fit in perfectly within modern interiors with their bi-colour white and black tones. These unique carpets made with soft and thick wool can take several months to make. As the king of Berber carpets, the Beni Ouarain is today famous throughout the world and is one of the most sought after contemporary carpets.